So, I am a groupie of Saint Ignatius, (1491-1556), a Spanish noble who made some major life changes after a mystical experience during convalescence from a battle wound, totally devoted his life to Jesus & then enlisted buddies to join him in this new way of living, thinking & doing. Approved by the Pope during that time (whom they also served since they couldn’t make it to the Holy Land), the fledgling order founded universities, sent missionaries (ever wonder why so many international schools are called “St. Xavier’s?”) & prayed & prayed & prayed while being the hands & feet of Jesus to those around them. 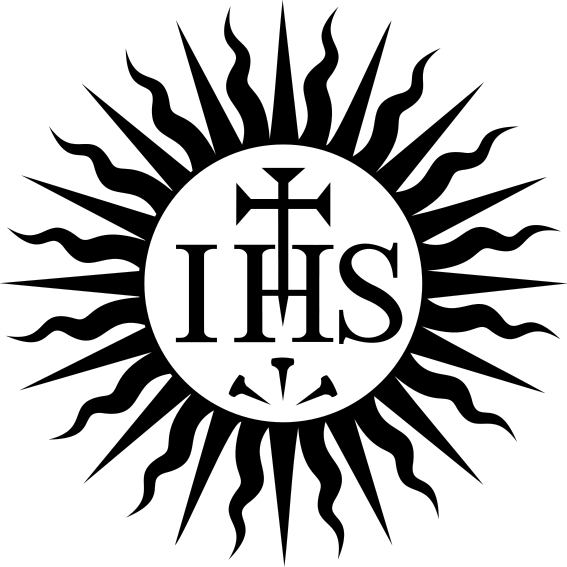 The Jesuits & the Spiritual Exercises of Saint Ignatius have lasted & lasted (not without a bit of turmoil along the way) .. but today Jesuits still serve Jesus the world over in so many ways – running universities, assisting refugees (Jesuit Refugee Service), through churches (Holy Trinity in DC a favorite), facilitating spiritual growth (retreat centers, Spiritual Exercises workshops, books & more), sharing faith in Jesus, providing social commentary (America Magazine, a fav) & well, too much to list. Fr. Timothy King was the first Jesuit I ever met while taking an evening class on Teilhard de Chardin at Georgetown University in D.C. That was 23 years ago & I still remember his humble spirit as he ‘unpacked’ his fellow Jesuit’s spiritual writings (that were not allowed to be published during the life of Teilhard de Chardin – a great scientist – altho his writings had major impact on Vatican II!) The thing is, Evangelical Me was so impressed how Fr. King loved Jesus. Big-time. All this to say, I have always liked the Jesuits: special place in heart & all that. Then, since returning from Africa I have been blessed TWICE with 8-day silent retreats at the Jesuit Spiritual Centre in Wernersville, PA. The first time I picked the place from online options to seek discernment re: Ph.D. programs. Many Jesuits are total braniacs, so go figure it would be wise to consult their input in a structured manner during a directed silent retreat using the Spiritual Exercises. OK, so God has a BIG sense of humor & instead of getting one of those brainiac Jesuits, Sister Maria was assigned my spiritual director for the week. A few internal pouts later (!) her strategic direction turned out to be TOTALLY a gift from God – maybe not eureka Ph.D. steps, but lots of healing, healing, and more healing. Sr. Maria gave me 2Corinthians 4, those jars of clay verses, to contemplate. Humph! I had those verses on my office wall in the Middle East & memorized them eons ago. But at the very end – 8 days of praying is lots of work – I realized that yes, we may be cracked clay pots (Virginia to our Tanzanian staff, ‘but isn’t it grand that as our cracks get wider there’s more room for the light of Christ to shine through? ?’) But guess what?? THERE’S TREASURE INSIDE OF US: RUBIES, EMERALDS & DIAMONDS OF THE HEAVENLY REALM…. …& guess what, diamonds are hard to crush. This entry was posted in Quotes, Sunday-ish Reflections and tagged America magazine, catholic saints, faith, Fr. Timothy King SJ, Holy Trinity church DC, Jesuit Center in Wernersville PA, Jesus, Sacred Heart of Jesus, Saint Ignatius, silent retreats, spiritual exercises of Saint Ignatius, spiritual retreats, spirituality, teilhard de chardin, the jesuits. Bookmark the permalink. Loved your stream-of-consciousness reflections here. I once worked at one of those St. Xavier’s schools! Thanks for the good reminder of the Jesuits, they have a soft spot in my heart, too. ..very stream of consciousness since the prayer i picked out for a quick post was posted last year ( : ) So fun you worked at a St. Xavier’s ..& glad your heart has also been softened up by the Jesuits ~! Thanks for sharing so openly and with such grace. I love the clay jars/cracked pots reference. I think it is the Japanese who fill the cracks in pottery with gold–our cracks and wounds are also places of beauty where God may be glorified. I enjoyed several fruitful short retreats at the Sacred Heart (Benedictine) Monastery in Richardton, North Dakota and at Maryvale in Valley City, ND (Sisters of Mary of the Presentation). I’ll definitely have to look into Jesuit Centre in PA. Filling in the cracks with Gold. Love it! thanks for sharing… oooh & i do love the Benedictines, too … especially the worshipful music so often filling their monasteries! Looking forward to your post about the 1st silent retreat you took b/c that was with Marge and me. I remember driving over the Kentucky mountains and hearing you say, “You mean we aren’t going to talk at all during the entire week?” I think you thought we would have small group sessions at night. I remember panicking inside but knew that it would work itself out. Neither you or I are known for our “silence.” Remember, Marge, a Park Street Presbyterian, had never been to a Mass before. I remember panicking about her impressions but she looked at me and said “I’ve been lied to my entire life. THe whole mass IS SCRIPTURE!” Then we had the little lectures at night with the monk. THe first night was about Mary. Oy vey! But Marge said “I agreed with everything he said.” All of our traditions have been misled about prayer. It isn’t talking to God, it is listening. And for me the best part is not an agenda of prayer but just “being” with God and actively sharing and celebrating our connection. At the end of the week, we were hugging complete strangers with whom we hadn’t spoken a word, but we had all shared an intimate week with our Father. There is a communal bond. P.S. I also remember that you went jogging in a flashy purple sweatsuit with your bright red ponytail in the “monks only” area. I hope they’ve gotten over that…. i will write more on that experience (trying to locate my spiritual journal from the time – i know it’s here, somewhere as i have saved them all…but the exact location remains TBD when there are many piles, piles under piles & hidden piles…) What you said captures the gist: listening, listening, listening… opening our hearts, minds & spirits in silence to really hear without distracting clutter… BEING WITH GOD. found JB Phillips ‘Your God Is Too Small” in the monastery library that totally changed the week… shifting prayers to forgiveness (lots for me & for me to give to others.) Will never forget that time at Gethsemane that sill remains one of the most treasured weeks of my (now considerably longer) life. thanking you – always- for the introduction to Teresa of Avila & those classes at Georgetown (Teilhard & then Thomas Merton) that had such a Big Impact! Although we never shared a silent retreat together, your contemplative spirituality has repeatedly blessed me. I loved this post and too love the Jesuits. I have a new friend who is a Jewish Jesuit in Jerusalem. He’s the brainy type but with an awazing heart. Only once did I do an 8 day Ignatian retreat and it was an awsome time with deep, deep spiritual experiences of God’s love and grace that hold and nourish me till today. Keep up with the wonderful blog. There are many more roses in the rubble. love, love & more love back to you … & many shabbat shalom(s)!! The FSSP used to give silent Ignatian Retreats up in the Scranton area. Not sure if they still do in their new home in Nebraska but it is a beutiful experience. Our priest leader was Fr. James Buckley who at the time was the novice master and now I understand he is the spiritual director for their seminary. If you ever get a chance to attend it is truly a life changing event that you will never forget. I know you have many family duties and may never get the chance but should you someday find that opportunity it is the a most challenging spiritual exercise that bestows years of grace.